Rinjani Package at Lombok – If we talk about lombok island then there will be no end to the beauty and exotic of this island of Lombok. Many of us are saving to spend our free time on holiday in Lombok Island. and not only for us as domestic tourists but not a few tourists from abroad who come to this island lombok. 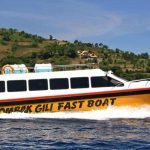 which is one of the typical tourist attractions in Lombok is adana gili-gili which is always the main destination of migrants to perform water activities such as water sports, swimming, diving, snorkeling, and much more we can do in Gili-Gili. This dilombok because the beauty of lombok under the sea to be one of the attractions of Lombok island. Lombok Tour not only offers underwater natural beauty but there are also for you who like adventure, then dilombok you can follow Lombok tour to climb Mount Rinjani at RINJANI PACKAGE at LOMBOK. In the rinjani mountains there are so many hidden beauty that you can meet in Rinjani mountain. On Mount Rinjani has a very famous place by the tourists is Segare Anak lake where the lake is located at an altitude of 2000 mdpl. Although the distance is far enough to reach this place but the tourists who like to climb. Everything paid off when we get there. In the morning we will be presented by the beauty of a very beautiful sunrise and in the afternoon then we will again be given the beauty of the sunset. For that we Rinjani Package at Lombok with Ded’y Adventure Travel offer you some Adventure Travel that we can offer to you that is Hiking Rinjani, visit to gili-gili that there is island lombok, hotel or service provider of homestay, shuttle service wherever and whenever. And inter-service wherever you want to go to the island of Lombok. Rinjani Package at Lombok- Climb to the summit of Mount Rinjani within 2 days 1 night starting from the village to the grave of puncture at night. Then on the second day at 3 o’clock in the morning will proceed to the highest peak of rinjani mountain. And then back to palembang sembalun. And the rest back to sembalun. This program is intended for those of you who have special experience in the field of climbing. Because you have to have endurance or extra ability to walk for 8.5 hours per day. Rinjani Package at Lombok- Climbing the peak of the mountain Rinjani within 3 days 2 nights starting from the village to the palace puri sembalun at night. Then on the second day at 3 o’clock in the morning. Will proceed to the top of the highest mountain of rinjani. And then back again to palembang sembalun and the rest back to sembalun. This program is for those of you who have the experience of climbing the mountain. But can be reserved for those of you who have little experience climbing the mountain. For those of you who want to experience climbing Mount Rinjani by walking up and down with a period of about 5.5 hours per day. Rinjani Package at Lombok- Climbing the peak of the mountain Rinjani within 3 days 2 nights starting from the village to the palace puri sembalun at night. Then on the second day at 3 o’clock in the morning. 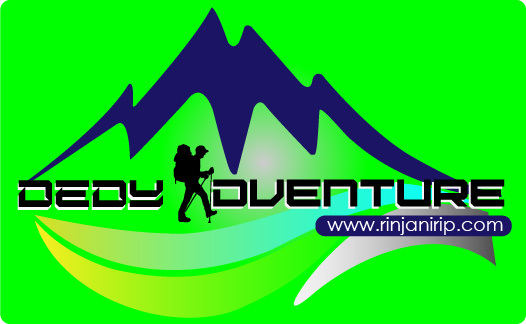 Will proceed to the highest peak of rinjani mountain. And then back to palembang sembalun and the rest back to sembalun. This program is intended for beginners who have never had previous mountain climbing experience. And can also be used for those who already have experience in climbing to add your experience in mountain climbing. For those of you who want to have experience climbing Mount Rinjani you will walk about 4.5 hour per day. That’s some many Rinjani Package at Lombok can we provide for any costumer who want to come to Lombok Island. And Visit Mount Rinjani. If you want or you ready for start your adventure with us. You can contact us for more information and everything you want to know about package. And our service we can provide for you as long as you in Lombok island.